You may want to change the contact schedule you currently have, or perhaps you or your ex-spouse have had a change in income. In many cases, this will call for an adjustment in the amount of child support. An adjustment might be required when a substantial and permanent change in circumstances occurs, especially when the change is unforeseen at the time of the divorce. In addition, when a contact schedule with the children has changed, the required child support amount might be affected. 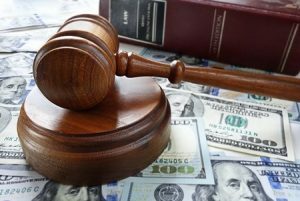 As for alimony, if the recipient is living with someone in a supportive relationship, this could enable you to pursue an adjustment or even a termination of the alimony itself. There are many circumstances under which a modification can positively affect your financial situation. Our team has significant experience in taking the time do deeply understand and strongly represent our clients in all matters related to the adjustment. If you want to explore your modification options, our team is ready to fight for you. Contact us today to set up a consultation at our office.